Autonomic dysfunction (AD) is known to be frequent among multiple sclerosis (MS) patients, even in early stages of the disease. During the course of disease, AD becomes more pronounced, with patients in progressive stages of MS experiencing a higher autonomic burden than MS patients in relapsing-remitting stages. The same pattern of AD progression is true for sudomotor dysfunction, with 35% of MS patients with a relapsing-remitting phenotype experiencing sudomotor dysfunction compared to 73% of MS patients with a progressive phenotype. We present the case of a patient with primary progressive MS suffering from severe sudomotor dysfunction. The presented patient had avoided physical therapy as he could not tolerate the accompanying temperature rise. One way to deal with this obstacle is to cool the patient down prior to physical therapy or let the patient workout at a cooler room temperature. From a research point of view, sudomotor dysfunction detected in MS patients may actually be a sign of small fiber neuropathy and not just a reflection of central nervous system dysfunction, a possibility which requires further investigation. Häufig tritt eine autonome Dysfunktion (AD) bekanntermaßen bei Patienten mit Multipler Sklerose (MS) auf, sogar in frühen Erkrankungsstadien. Im Krankheitsverlauf wird die AD ausgeprägter, was bei Patienten in fortschreitenden MS-Stadien zu einer höheren Last autonomer Symptome führt als bei MS-Patienten mit schubförmigem Verlauf (rezidivierend-remittierende Stadien). Das gleiche Muster der AD-Progression besteht auch bei der sudomotorischen Dysfunktion; diese Dysfunktion kommt bei 35% der MS-Patienten mit rezidivierend-remittierendem Phänotyp vor, aber im Vergleich dazu bei 73% der MS-Patienten mit einem progressiven Phänotyp. Die Autoren stellen den Fall eines Patienten mit primär progressiver MS vor, der unter schwerer sudomotorischer Dysfunktion litt. Der vorgestellte Patient hatte physikalische Therapie gescheut, da er den damit verbundenen Temperaturanstieg nicht ertragen konnte. Eine Möglichkeit, mit diesem Problem umzugehen, besteht darin, den Patienten vor der physikalischen Therapie herunterzukühlen oder den Patienten bei kühlerer Raumtemperatur trainieren zu lassen. 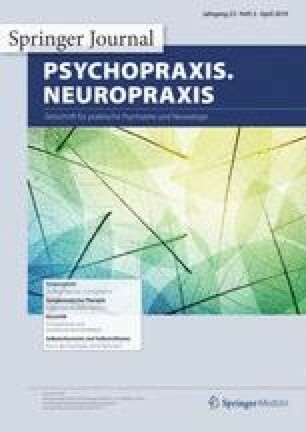 Aus wissenschaftlicher Sicht ist die bei MS-Patienten festgestellte sudomotorische Dysfunktion möglicherweise eigentlich Zeichen einer Small-Fiber-Neuropathie, also einer Neuropathie der dünnen Nervenfasern, und nicht Ausdruck einer Störung des zentralen Nervensystems – eine Möglichkeit, die weitere Untersuchungen erfordert. None of the authors (I. Adamec and M. Habek) have relevant affiliations or financial involvement with any organization or entity with a financial interest in or financial conflict with the subject matter or materials discussed in the manuscript. This includes employment, consultancies, honoraria, stock ownership or options, expert testimony, grants or patents received or pending, or royalties. No writing assistance was used in the production of this manuscript.